Home USA Top 3 Activities to Celebrate Spring in D.C.
Spring is a popular time to visit Washington, D.C. As the temperatures rise following the cold winter months, the city comes alive with activities that people of all ages will enjoy. Dozens of events — including the National Cherry Blossom Festival, embassy tours, parades, and more — are held throughout the city during the springtime, making this season a great time to take advantage of everything the city has to offer. 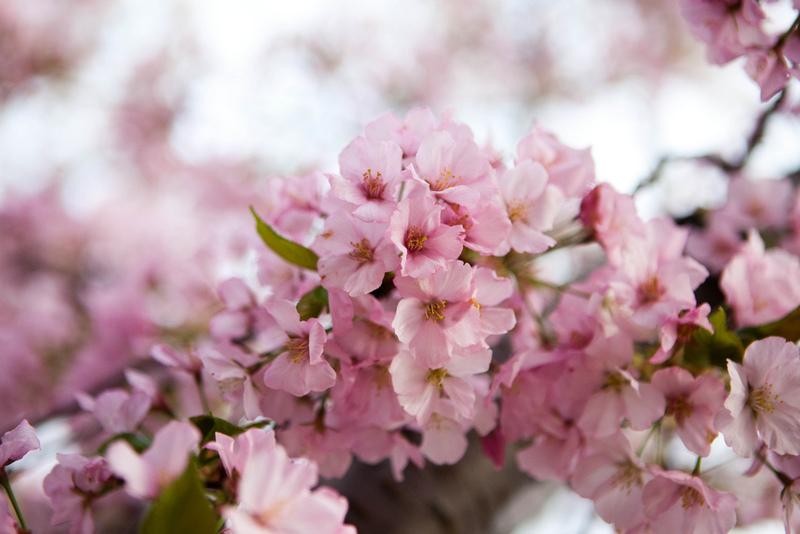 Started in 1927, the National Cherry Blossom Festival takes place during March and April and lasts about four weeks. The celebration commemorates the blossoms that festoon the cherry trees and features parades, parties, and live performances that bring more than 1.5 million visitors to the District annually. The opening ceremony kicks off the festival every year and is followed by the Blossom Kite Festival and the National Cherry Blossom Festival Parade. While the Tidal Basin is one of the most popular spots to take pictures of the blossoms, you can also find cherry trees at the National Arboretum, Anacostia Park, and the National Gallery of Art Sculpture Garden. Many of the festival’s events are free, making the National Cherry Blossom Festival a budget-friendly way to explore the city. Passport D.C. is an annual, month-long event honoring the international cultures of Washington, D.C. Held in May, the celebration offers residents and visitors the opportunity to embark on a global journey without leaving the District. More than 50 embassies, as well as several of the District’s cultural institutions, offer open houses, exhibitions, and workshops throughout the month. Guests can learn about the customs and cultures of the countries represented here. During the event, guests are invited to take free embassy tours, peruse the Flower Mart at the Washington National Cathedral, attend street festivals, and more. Spring weather provides the perfect opportunity to explore the District’s many historic landmarks. While you’re strolling through the Tidal Basin admiring the cherry blossoms, make sure to visit the surrounding monuments. The Franklin Delano Roosevelt Memorial, Martin Luther King Jr. Memorial, and Thomas Jefferson Memorial are all located close by. Afterward, visit the Lincoln Memorial, Washington Monument, and Vietnam Veterans Memorial. Don’t miss Rock Creek Park, a large urban park in Northwest Washington, D.C., where you’ll find more than 32 miles of hiking trails, a planetarium, and several Civil War–era installations. Washington, D.C., has much to offer any traveler. In fact, visitors to the area have many historic sites, cultural events, and remarkable restaurants to choose from, and it’s easy to become overwhelmed. To make sure you don’t miss anything, you can use a Washington, D.C., city guide to help you plan your itinerary. A city guide will help you prepare for your trip while relieving some of the stress involved with planning a vacation. Washington, D.C., is a vibrant, dynamic city year-round, but the blue skies, cherry blossoms, and crisp temperatures make spring a great season to visit. The District offers a variety of festivals, cultural events, and celebrations that are sure to please people from all walks of life.